Neil Douglas has been in the Subsea Controls Industry for over 30 years, the majority of which were spent with GE Oil & Gas. 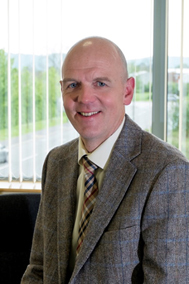 He graduated in 1984 from Bristol University with a degree in Electrical and Electronic engineering and obtained a master’s in Subsea Engineering from Cranfield University in 1991. In 2007, along with co-director Max Nodder, he established Viper Subsea, a company that specialises in technology development, equipment supply, and integrity management of subsea controls and electrical distribution equipment. Viper Subsea was renamed Viper Innovations at the end of 2016 as part of a rebrand to facilitate business diversification into other industrial sectors. The company has continuously invested heavily in the development of different technologies, driven in a large part by specific challenges that clients face. Viper Innovations has established an enviable reputation as a company that develops leading edge technology that creates cost savings and enabling technology for a range of international clients. The company has won many business and technology awards with the most prestigious being the National Private Business Awards in 2014 and the Queens Award for Enterprise in 2016. In 2017 the company won the West of England Business of the Year award in the less than £30M turnover category. Neil was named the Institute of Directors’ South West Director of the Year Award in 2011.